You can’t sleep on the Eiffel tower, nor on Tower Bridge. Actually, most famous spots limit your experience to simply watching. But! We got some good news for you – this isn’t the case in Bulgaria. The most popular site in our gorgeous country allows you far more than merely seeing it. We’re talking about spending a night in a monk’s cell in Rila monastery. Although we’ve been there many times through the years, we didn’t feel that the stunning beauty of the place was a good enough reason to dedicate a blog post to it. We knew there has to be something more than what we see on the surface. So there was only one thing left we could do – spend a night there. So, how much does it cost to sleep in Rila Monastery? On the 18th of July we hoped in the car and at about 4pm we were at the reception to check in. * Reception is located right next to the museum, and the check-in hours are from 2pm until 5pm. For 20 leva per person, we got the key to our monk cell. Our room turned out to be so much more than I expected. Quite spacious with 3 comfortable single beds, couple of tables, big wardrobe, and a bathroom. Simple and not at all luxurious (most of the furniture was quite old), yet clean and well-organized. In my imagination, a monk cell didn’t have its own bathroom, but while brushing my teeth in the morning I couldn’t be more thankful for not having to use a shared one. The privilege of being a guest of the Rila monastery. Walking around the corridors and the terrace of the monastery is forbidden for visitors, but the limitation doesn’t apply to guests. Naturally, we took advantage of this and went for a walk immediately after dropping our luggage. Out of respect, of course, we kept it quiet while exploring and taking pictures. Many of the rooms are inhabited by monks, who are there to find some piece – we didn’t want to disturb them while being all touristy about their home. The priest (whose name, unfortunately, we can’t remember) told us that nowadays fewer monks choose Rila Monastery for the place to spend their lives in. What we, visitors, fail to see and understand is that monasteries are meant to allow their inhabitants to focus on their inner world. The buzz that tourists create makes this gorgeous location less preferable to holy people. Pity, isn’t it? Few minutes before 9 pm we went back. The door closes at 21 sharp, and after everything we learned about the monks, we didn’t want to be the kind of people who use this place for the cheap accommodation only. Nonetheless, the opportunity to see Rila monastery after dusk was enticing and we couldn’t resist. Nothing to do, but immerse into the silence. This is what Rila Monastery is about at night. We walked around in absolute quietness and simply admired the serenity. Next time, we told ourselves, we’re certainly staying longer and using the opportunity to catch up on reading. Finally, we returned to our room and went to sleep. During that night I didn’t stop dreaming. next morning I couldn’t recall any of my dreams, but I still vividly remember the feeling I woke up with – all refreshed and relaxed, full of love, appreciation, and respect. We usually talk about accommodation as a starting point and tell you what’s around. Spending a night (or more) in the Rila Monastery, however, isn’t to be thought of this way. It is an experience which you should think of as exclusive. Yes, you can go to the cave of St. Ivan Rilski while you’re there (and we strongly recommend you do), yet allow yourself to relax and slow down. If there is a place that can teach you how to rest – this is it. On parking: the guests of the monastery do not have to pay the parking fee – there is a free parking at the back of the monastery, so pass the one in the front and go behind. Breakfast? The best mekitsi in Bulgaria are made behind Rila Monastery – make sure you try them! Cost? 20 leva per person, per night. I adore your site!! A friend and I are going to the monastery on the 22 of February, so sorry to use you like this but is there any chance you could place a call for us? If it’s an imposition, no problem we can find accommodation elsewhere. This is just SUCH an amazing opportunity! very good article. 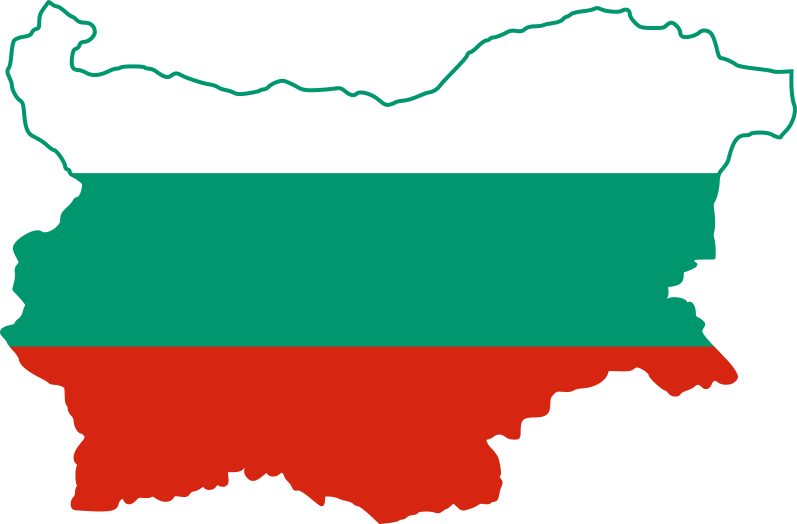 i am traveling to Bulgaria with a friend in a couple of weeks. This looks like an amazing thing to experience for a night. Do you know if they speak any english so i would be able to book, or do they only speak bulgarian? It is definitely the best way to truly experience the Rila Monastery. I’m afraid, I can’t answer your question, however, if you like you can send us an email with the number of people you are going to be and the date you’d like to make a reservation for. Once you do that I can call them on your behalf. Additionally you can include a phone number they can call if needed. The last time I called to make a reservation on the behalf of another reader of ours they asked me for a phone number and I gave mine, however, if there is a need to get in touch with you regarding the reservation, through me would be quite slower, as I would have to pass you the information over the email. I’ve enjoyed reading your sisterly posts/lovely descriptions and getting to know you online. My mother, my son and I are traveling to Scotland via train and have no way as well, of contacting the Rila Monastery. Might you still be willing to call the Rila Monastery for readers of your blog? I would need a room for 3 (my son (mature 12-yr-old), my mother and me). We would arrive June 29 and would love to stay two (2) nights for this unique experience, departing July 1. I don’t wish to prevail upon your good graces, but like your other reader, I cannot locate an Email for the Monastery. Thank you ever so much, “Sisters”! Hi, I from Malaysian and glad to found your post about rila monastery , we are couples and wish to experiencing overnight stay in rila monastery in May. May I know how to make the rooms reservation beside phone call , sadly we don’t have Bulgarian friend too. Thank you for your information and hope can see your reply. Hi, Angie. Unfortunately, there’s no other way to make the reservation there. We’d be happy to give you a hand and call the monastery on your behalf. Drop us an email with the names of all the people + the exact dates you want to stay there and we’ll reply back after we book your rooms. We are travelling with a group of 27 persons and we like to visit the Rila monastery very much. Do you think it would be possible to hike from te seven lakes to the monastery ? We loved your idea about spending the night there! That would be a lovely ending of our discovery day! Is there room for 27 people? Will we be able to make a reservation call in English, since we do not speak any Bulgarian..
Hello Aileen, please excuse us for the delayed reply. The system had marked your comment as spam for some reason. It is absolutely possible to hike from the Monastery to the lakes, however be aware that it’s not an easy hike. The more common decision is to do it the other way around – take the lift up to the lakes, hike to highest one and then descent towards the monastery. As for the room in Rila Monastery – there won’t be any problem. I don’t think anyone there speaks English, but if you can drop us an email with the names of all people staying and the exact day we can call them for you. Hi Rowena! Sure – there won’t be any problem to stay there with the kids. Check out this hotel in Bansko that we stayed at – it was also very kid friendly[link]! How did you reach the monastery, were you hiking from the Rila lakes? If yes, is the path well marked? Hi Luna! We reached the lakes by car, but it’s a 4 h hiking path from the lakes to there. It is well marked, nonetheless I do recommend getting a local SIM card with data so you can ensure everything is ok. Also, please note there’s still snow up in the mountains and hiking from there to the monastery isn’t recommended before mid June. Thank you for the great article, I can see Rila Monastery in a different light and from “inside” now. Visiting Rila Monastery for an overnight stay will be next on my list for sure. I hope that I will feel recharged and full of spiritual energy after the visit. Hey! This is great. I’m going to Sofia in 2 weeks and was looking at going to Rila. But now I can even stay there, awesome! It looks so peaceful at night! Just trying to figure out whether to try and call or not. Would it be busy on a Friday night at the end of September? We bet you’re going to love it! If you enjoy reading, don’t forget to take a book along!